First things first, I'm a massive skincare junkie. 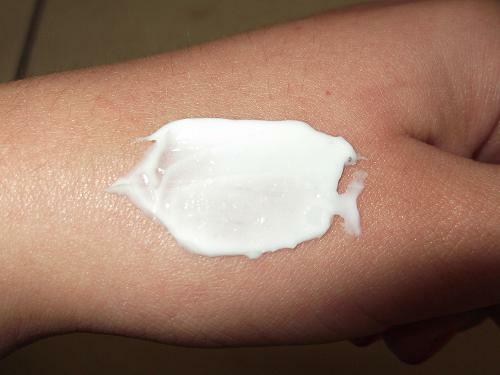 I love experimenting with new products and finding out which is best for my skin type, and I get a thrill when I open a new cleanser/moisturiser/exfoliator/anything. I especially love when I find that a product really does improve the look of my skin and I've recently developed a skincare routine. This is where this product has just come in, and I use this once before bed every night religiously. I got my skin analysed by Dermalogica a few months ago at Excel's Beauty Exhibition and received some great skincare tips and tricks (not to mention bucket loads of free sample sized products). I was told that my skin really lacked in the vitamin and mineral department due to over-exposure to sun, hence why I now always used an SPF based moisturiser and a heavy caffeine intake (thanks coffee/tea/coke). So when I saw that this was rich in natural Vitamin E I was like a kid in a sweet shop. If you read my blog then you'll know that I have a combination ski type. I have a semi-oily T-Zone with slight dry patches on the tops of my cheeks which drives me insane. 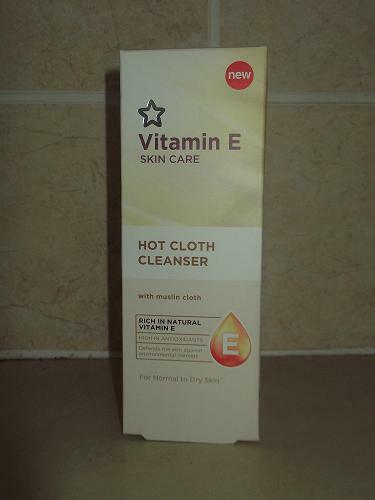 Superdrug's Vitamin E Hot Cloth Cleanser is suited for Normal to Dry skin, which makes this the perfect addition to my skincare routine. 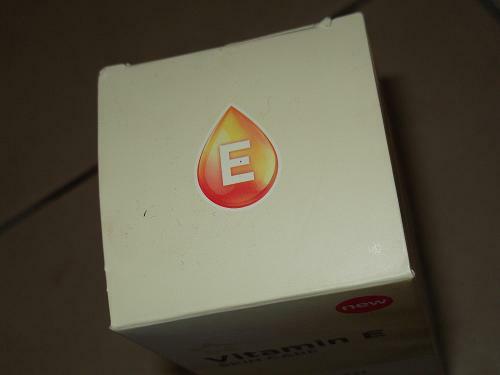 I mentioned in my Mimi Superdrug and Boots Haul (read it here) that I'd never tried anything from the Vitamin E range, nor had I ever really noticed it But I actually really like the packaging of this, its simple and really to the point. I sometimes think that you end up paying more for the fancy packaging of things which more or less do the same trick as cheaper brands and this is definitely the case with this product. I picked this up for a bargain of only £5.99 which I think might just be an introductory offer so I'm going to stock up on some before this happens! 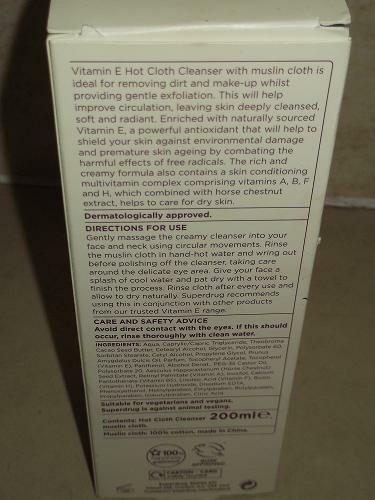 "Vitamin E Hot Cloth Cleanser and muslin cloth is ideal for removing dirt and make-up whilst providing gentle exfoliation. 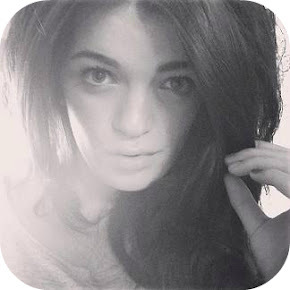 This will help improve circulation, leaving the skin deeply cleansed, soft and radiant." I totally agree with what Superdug promise from this product. I've used this now for just over a week and I've really noticed a difference in the appearance of my skin in general. 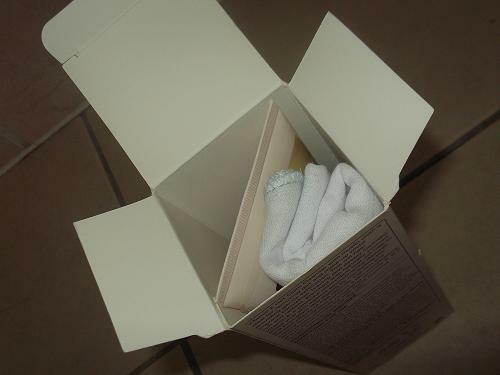 It feels so soft because the muslin cloth also doubles up as an exfoliator plus the blackheads I used to have due to make-up have reduced too. I absolutely love how this applies too. I think some people may find that it's too thick on their skin. It's very thick but for people who suffer with ultra dry skin this is definitely a go to product. 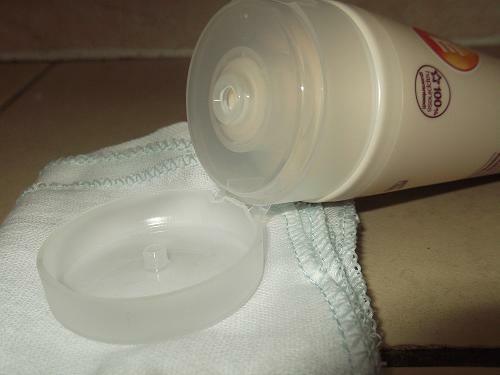 It improves circulation in the face and in turn begins to even out skin tone. There's no point in spending money on lovely make-up if you aren't taking proper care of the skin underneath, and I'm so happy I found this. It smells lovely and natural with a fresh srt of smell which is a great bonus. 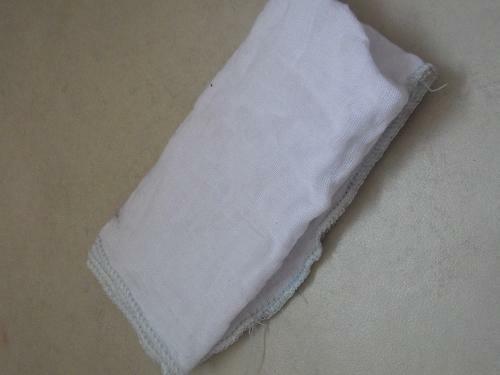 As with every single muslin cloth cleanser there is one downside, and that is the fact that the cloth itself gets so unbelievably dirty I've already washed mine with shampoo twice. For the results I find that it's so worth it. 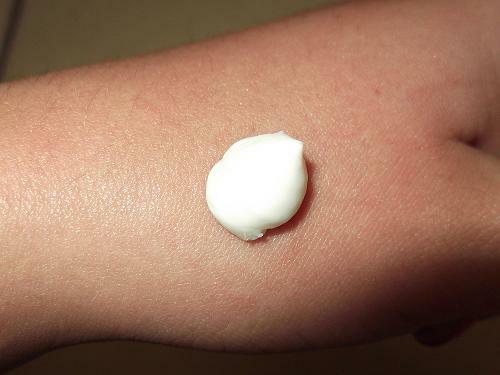 I've noticed they also have a day moisturiser from the Vitamin E range which I may have to nab too. 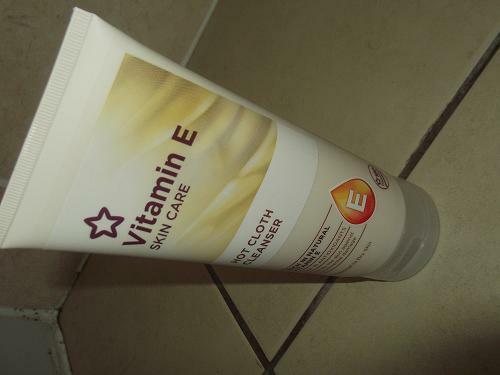 Have you tried anything from the Vitamin E range at Superdrug? What other hot cloth cleansers can you recommend? I saw this in Superdrug the other day and was very tempted to get it! 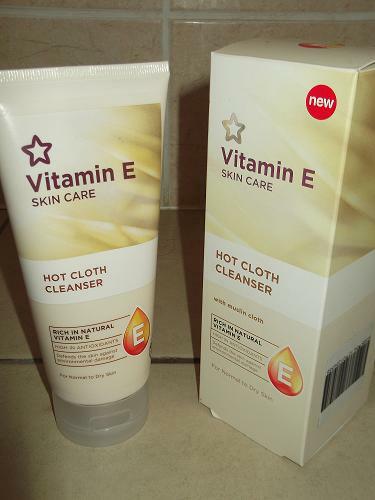 I've not tried a hot cloth cleanser before, and everyone raves about them.